Some people think their Pomeranian sleeps all the time. However, this may be because when you go to bed, he wakes up, and vice versa. You may want to know if he’s getting too little or too much sleep. You may discover he has a poor pattern for sleeping because his body clock is in reverse so he sleeps during the day and stays awake all night. 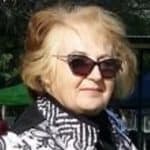 This article will explain Pomeranian sleeping habits. 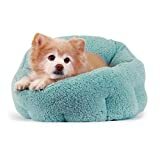 How much sleep a Pom will need, depending on his age and also covers where he should sleep so he gets good quality sleep. 1 How much sleep is enough for your Pom? 1.1 How Many Hours Should a Puppy Sleep Per Day? 1.1.1 Newborn puppies: 0 – 6 weeks old. How many hours do puppies sleep? 1.1.2 Is It Normal For Puppies to Sleep a Lot? 1.1.3 When Will My Puppy Sleep Through The Night? 1.1.4 How Much Does a Dog Sleep a Day? 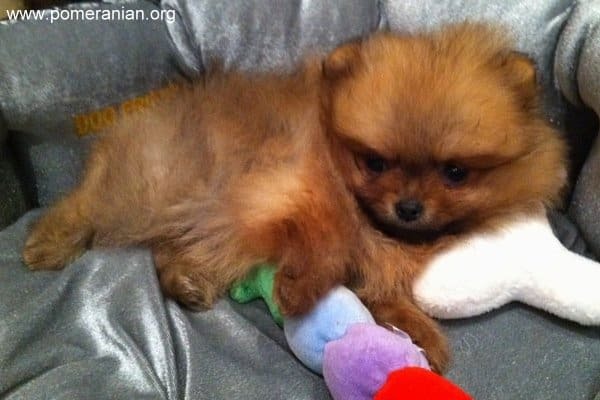 2 Tips to help your Pomeranian sleep at night. 2.1 Setting up an area that he’ll be comfortable in while he sleeps. 2.2 2. Ensure there aren’t any heat or draughty spots. 2.3 3. Create a mood of calmness. 2.3.1 4. Make sure he has toys he can play with or chew on to keep him occupied and calm. 2.3.2 5. Half an hour before his bedtime, take your Pom outside for a toilet break. How much sleep is enough for your Pom? Obviously dogs sleep more than people but it’s for the exact same reasons. Sleep enables the body to recover and recharge from the day’s activities. Dogs also need Rapid Eye Movement (REM) sleep so they can dream. The age of your dog will govern how long he should sleep in an ideal scenario. How Many Hours Should a Puppy Sleep Per Day? Newborn puppies: 0 – 6 weeks old. How many hours do puppies sleep? For the first three weeks, puppy will sleep all the time except for when the dam nurses him. At three weeks of age, he opens his eyes and starts to walk. Between 4-6 weeks of age the puppy will stay awake for brief amounts of time while he begins exploring the world around him. Once he’s six weeks old, he’ll want to have fun playing with other puppies in the litter so his awake time will be longer, as much as 4 hours of every 24 hours. 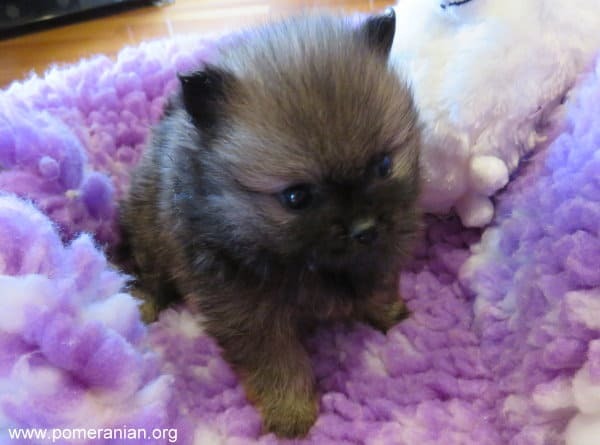 General puppy information: Until a Pomeranian puppy is one year old, he’s still a puppy. It’s typical Pom puppy sleeping habits to sleep 18-20 hours each day. Is It Normal For Puppies to Sleep a Lot? Yes it is normal for puppies to sleep a lot. 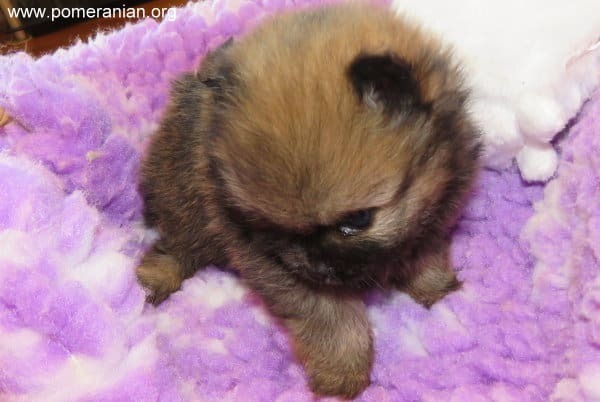 The same as human babies, Pomeranian puppies require a puppy sleep schedule. At around 10 to 12 weeks, a puppy should have a toilet break last thing and sleep through the night until early morning. How Much Does a Dog Sleep a Day? Adult Pom dogs should sleep all night, like owners do. 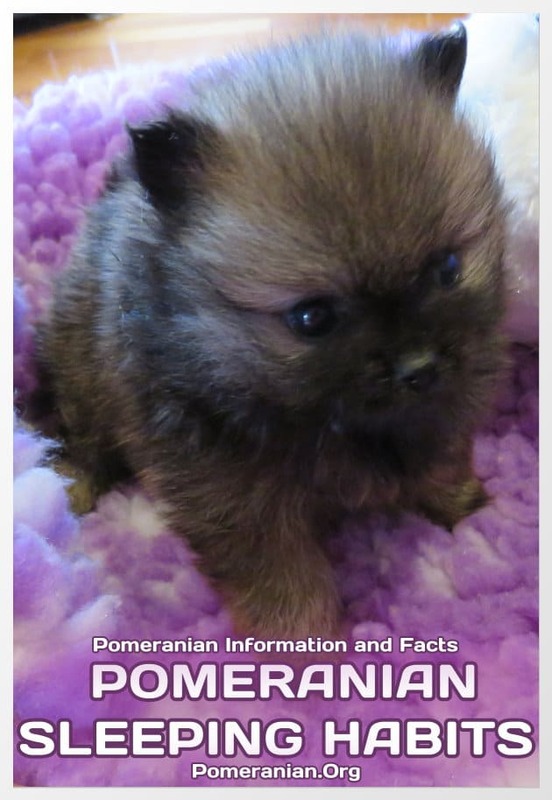 That accounts for most of Pomeranian sleep needs. Several naps during the day will help bring their daily sleep total to the average hours dogs sleep, which is 12-14 hours. It’s common for dogs to save their naps for when they’re alone at home. Once a dog has become a senior (above age eight), he’ll either sleep longer during the night or have an extra daytime nap. He may fall asleep before his owner, often while it’s quiet in the house and people are resting. 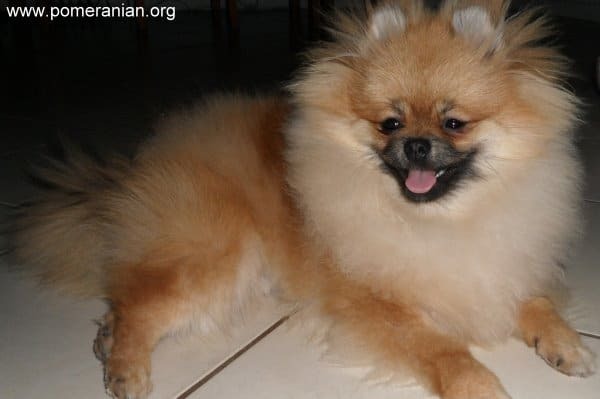 Tips to help your Pomeranian sleep at night. 1. Teaching your puppy to sleep during the night is the second hardest thing to do, after toilet training. It can take a long time to get him to adjust to your sleeping pattern and this is why he’ll often wake up during the night. Setting up an area that he’ll be comfortable in while he sleeps. If he’s home alone for most of the day while you’re working, you may decide to have a playpen or a gated off area for him and, in that area, he should have a great quality bed. If he spends time in that space during the day and at night, that speeds up the time it takes to get him used to sleeping in that environment. If your pet feels alone in an unfamiliar area where he only goes when it’s night time, that’s often enough to keep him awake. So the daytime space should always have an opening so he can come and go but also understand that it’s ok to go in there. It’s also wise to make sure this space is far away from doors and places where there’s a lot of movement. 2. Ensure there aren’t any heat or draughty spots. Remember your Pom is small so check from his height, not just from yours. If there are any cold or hot spots, choose a different place. 3. Create a mood of calmness. Dim the lights (if you can), reduce volume on TVs and/or radios as well as any talking that’s going on. 4. Make sure he has toys he can play with or chew on to keep him occupied and calm. If he does wake up and wants to relax to sleep again, he has has toys. Some like to fall asleep with their head on their favourite toy. 5. Half an hour before his bedtime, take your Pom outside for a toilet break. Once he is put to bed, unless you know he is desperate to go outside again, ignore any noises he makes. That’s harder than it seems but if you go to him every time he makes a sound, he’ll never learn how to go back to sleep on his own. Provided that your dog is warm, fed, and safe and has no toilet needs, the best thing is to let him become tired. Keep doing this and, within a short time, he’ll sleep the whole night without a sound. Your dog may sleep more than his usual dog sleep pattern. Sometimes it will be for health issues and other times it will not be for anything you need to worry about. Maybe you have taken him for two walks or to the local dog park. Too much exercise will make him exhausted and he may nap as soon as he gets home. If he’s bored, he may sleep more. This indicates that you need to play with him more. You don’t get a dog if you’re not going to play with him. Play games, start new ones, teach him new commands or tricks. A dog is always happiest when he can play with somebody. He thrives on human company. 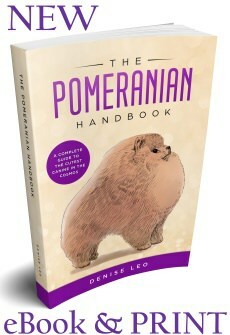 This is a common ailment in toy breeds of dogs such as the Pomeranian. Stress and too much time between meals are two triggers. Symptoms include: a wobbly walk, confusion and sleepiness. A quick treatment is to rub some honey on your dog’s gums and then get him to the vet for a better assessment and further treatment. Moderate to severe hypoglycaemic attacks are treated with an IV solution that brings the sugar levels back up into balance again. If your dog has a severe case and is very sleepy, it’s critical to get treatment because failure to do so may result in a coma and that may prove fatal. Whenever you notice something unusual in the way your Pom is behaving, including activity levels, eating or sleeping habits, it may be because he’s sick. If a dog is sick, it’s common for him to retreat and rest and sleep more. It’s important to talk to your vet and even take him for assessment. Poms can’t handle extreme weather. If your home doesn’t have adequate heating and cooling, he may need a self-heating bed or a cooling mat. 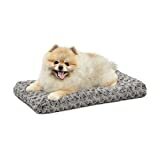 The mat can be put on the floor or on the cushion in his bed. His bed needs to be designed for toy breeds. This will mean the sides are deep enough and the size of the base will be comfortable. 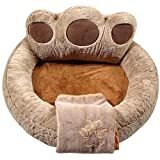 Don’t be afraid to spend some money because a good bed for your dog will ensure he’s happy and healthy. His body will be properly supported so his back and hips aren’t strained. Compare this to your own bed to gain full appreciation.